Project Details: The book deals with Theyyam, a dance system which has a close relationship with the social systems and caste structure of Kerala. Majority of the Theyyam dancers belong to Scheduled Castes while a certain section of Scheduled Tribe also performs Theyyam dance. Exclusive rights to perform this dance are given to SC or ST who are from the lower-strata of the society and people outside the prescribed castes are not allowed to perform the dance. Theyyam is a unique art form that blends religious beliefs, art, dance and music. The book has added a new dimension to the established perspectives in relation to castes and class. The book discusses various aspects of the experience of Scheduled Castes who performs Theyyam dance in Kerala, with various Indian States. This is a unique experience which can be shared with other states as a tool to address diverse problems of Scheduled Castes in different States. Some of the aspects of replicability in relation to effectiveness of similar artistic forms or cultural programmes of Scheduled Castes in addressing a wide set of issues around them are discussed in book. Theyyam dances can be used as effective tools and weapons to resist and fight back against an unjust social system. As a religious revelation this dance performance has the potential to influence a considerable section of Upper Castes to develop a positive attitude towards the lower castes. The book hence, explores the possibilities of artistic or cultural performance as a medium which can be effectively used as a tool to reduce or remove the suppression of the Scheduled Castes in a society. Above all, the problems and experiences of Theyyam dancers are related to the Dalits in India who are victims of economic and social discriminations. The book discusses possible strategies at the national and subnational level to break the cycle of economic dependency of Dalits. 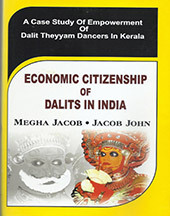 This book derives, by and large, from the insights of our study on the ‘Socio- Economic and Health Problems of Theyyam Dancers belonging to Scheduled Castes of Kerala’ sponsored by the Ministry of Social Justice & Empowerment, Government of India. Project Details: This book discusses the significance of the local government in public healthcare systems in developing countries particularly in India. It considers a new model of public health delivery system in the Indian state of Kerala, which is unique in achieving a fairly high level of human and social development with a relatively low level of economic development. Unlike most India states, Kerala has devolved the control of health service management to local governments though the state government still has administrative powers, resulting in a system of dual responsibilities. Transfer of public health control from state government to local governments has seen an increase in the participation of the local community in public health delivery management. 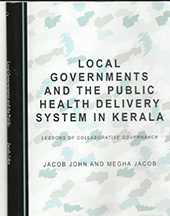 Based on the field study conducted in Kerala districts, this book explains the scope for mobilizing local resources for the implementation of public health projects under the local government, discussing a unique model of co-production between the government and civil society that can improve health services, efficiency and equity, leading to better health outcomes. As such, this study will be of interest to scholars and practitioners in the areas of health, local governance and decentralized planning. KDS has carried out an evaluation study on Kudumbasree, a SHG based rural livelihood programme in Kerala. It not only analyzed the impact of Kudumbasree as a poverty eradication programme but formulated an action plan for replicating the programme in other states of India (2008-09).The Study is completed. The detailed report is available at http://planningcommission.gov.in/reports/sereport/ser/ser_kudu.pdf. Cambridge Scholars Press, UK is in the process of publishing a book entitled as Loan for Higher Education and Inclusive Growth: India in a Comparative Perspective. 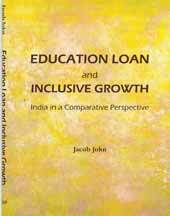 This forthcoming book draws heavily from KDS study on Higher Education Loan in India . KDS had carried out this study with the support of NUEPA/Ministry of Human Resource Development. The growth of access of higher education to college-age population in India remains quite low. The gross enrolment ratio in higher education has grown from 10 percent in 2000 to 13 percent in 2008 in India while China registered a growth of 23 percent in 2008 against 8 percent in 2000. It is a matter of serious concern that the number of individuals joining educational institutions as a percent of college-age population has not gone up significantly in India. The academic cost of providing greater access to higher education with emphasis on quality is quite mind-boggling in several developing countries like India. There is a need to raise more resources to meet the different components of costs of higher education such as academic costs, academic support cost and student welfare costs. There is an emerging need for raising resources from non-government sources to fund the higher education. Education loan within an appropriate framework of inclusiveness is a significant non-government source of finance.